You can use MIDI Keyboards for various purposes, but first, assess your needs and the features you desire in them. 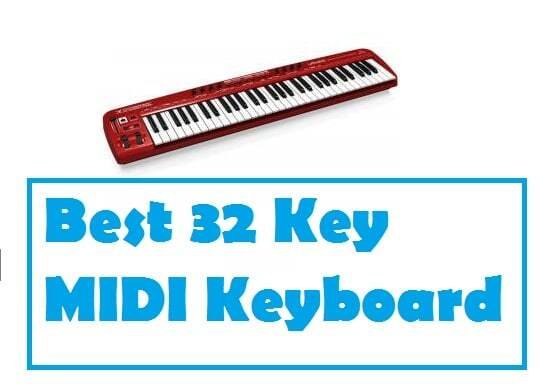 Here we are discussing the Best 32 Key MIDI Keyboard available with its key features. The Best 32 Key MIDI Keyboard lets you enjoy the key feel, has high-quality components, is sturdy and performs long. A great MIDI Keyboard should be affordable, last long and be user-friendly. 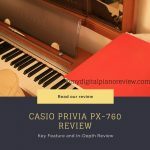 Additionally, it should carry features like portability, the proper number of keys and connection such as USB and DAW (Digital Audio Workstation) compatibility. 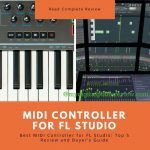 Although the keyboard is among the most popular kind of MIDI controller input, it also has various input types like fader arrays, standalone buttons, drum pads or other customized interfaces. 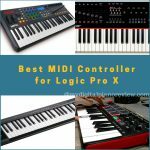 The advantages of the finest MIDI Controllers include compactness, easy manipulation of notes, versatility and setup of the correct sound stream for your device. The AKM320 by Midiplus is your standard solution for active music production with its solid construction and is amongst the Best 32 Key MIDI Keyboard . Furthermore, the spring action keys are tinier than normal sized keys and great for musicians who are not proper piano players. 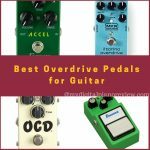 Additionally, it includes Pitch bend, volume, modulation, octave, and transposition and is a superb standard controller price wise. The Midiplus AKM320 has solid construction and is quite durable for a controller under 50 bucks. 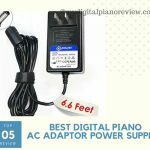 Further, the keyboard is compact and lightweight, and you can simply plug it into your computer and begin playing immediately. Traveling with the keyboard is very convenient, and you can simply drop it into your backpack to get going. Moreover, it saves you from playing a giant keyboard, besides being pressure sensitive. The Midiplus AKM320 offers easy configuration and occupies less space. The Midiplus AKM320 comprise 32-note velocity responsive keys to play loudly or softly. Additionally, the pitch bend and mod wheels offer more expression which is not present in all tiny MIDI controllers. 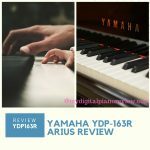 The keyboard has sustain pedal input and the Up and Down Octave Buttons enables you to cover greater range on lesser keys. Truly, the transpose buttons are helpful to alter key midway while playing music. Not to mention the USB connectivity, which provides easy plug-n-play as well as a power source besides being DAW compatible. The Midiplus AKM320 lets you jam out and port the jam performance straight to your PC with your PA. 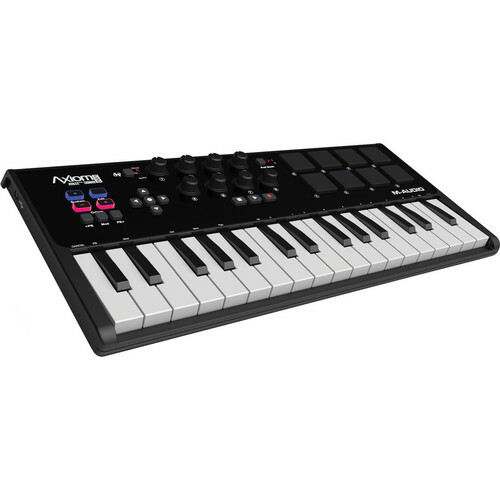 While different keyboards carry numerous drum pads and buttons for programming, the Midiplus AKM320 has 4 specific buttons and 2 modulation switches to compose musical sounds. 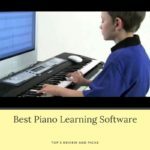 The 32 keys afford half the octave range of a normal piano, while other buttons modify the octave quickly, which is a great advantage. In addition to being powered by USB cable, the Midiplus AKM320 can also be charged by adding an adapter led to a wall outlet. Again, it is excellent for playing with a PA system. The Midiplus AKM320 offers an easy MIDI solution and is amongst the finest MIDI keyboards in terms of convenience and value. Though without the whole range of features present in costly MIDI controllers, it is a superb gadget for its price. Besides being inexpensive, it can even substitute your bulky device and accompany you anywhere. 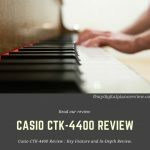 Notably a perfect keyboard regarding convenience, economy, and functions well with regular DAWs which gives you real worth for the money. 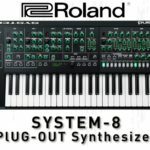 Roland builds nearly all type of digital gadgets with great quality which also applies to its MIDI controllers. Furthermore, it has the complete controls of DAW (Digital Audio Workstation) and syncs up with Ableton and Cubase, being cross-platformed to work both on PC and MAC. The Roland A-300PRO contains a MIDI Keyboard containing 32 keys, knobs, sliders, forty-five assignable transport, eight pads and a pitch bend or modulation stick. 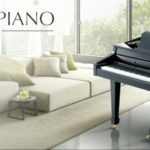 However, the 32 key design is not meant for performers who want a correct piano style; rather it is ideal for the mobile producer or actual player. For all those wanting to use keyboard controllers in studio or on-stage, the Roland A300PRO is amongst the Best 32 Key MIDI Keyboard. Further, built with the finest Roland engineering and being user-friendly, it has all the features & feel to deliver the most outstanding performances. The improved key mechanism of the keyboard offers aftertouch and greater sensitivity to upgrade your performance. Additionally, spherical key assemblies provide responsive reflex to your feel. The keyboard also carries enhancements to avoid vertical movements and decrease the existing low mechanical sounds on key taps. You can suit your performing style and skill level by tweaking the Roland A300PRO with desired velocity curves. The ergonomically designed keyboard grants easy access to all controls consisting of 9 knobs, sliders, and four buttons. Moreover, a proactive Transport segment gives you completely assignable control over the entire features. Also, the Pitch Bend or Modulation Stick with rubber coating offers expressive control over both functions simultaneously. The A-300PRO can be customized to be applied with your preferred synth & DAW with A300PRO Editor. Consequently, you just need to launch the editor, modify the Control Map and select transmit. 8 Dynamic Pads which are velocity sensitive are readily available in the A300PRO to shoot grooves, samples and one-shots with your chosen DAW or virtual device. Likewise, the pads can be latched with Hold Control or aftertouch, velocity and controller data can be assigned to them for superior performance. The A300PRO utilizes Roland’s proprietary Fast Processing Technology (FPT) for MIDI transmission that makes it stable with low jitter and latency. Indeed, your performance skill is retained, irrespective of the music program employed. You can clearly view your actions in a live performance, or studio recordings with the A300PRO’s high shining backlit LED screen and buttons. Similarly, you can compose music anywhere with your laptop with the keyboard powered by USB bus. The Roland A300PRO offers convenient access connections to the side panel to place your laptop ideally at the keyboard’s back. Attach USB, Hold, MIDI IN/OUT or expression pedals with no need to reach out to the keyboard’s rear. The plug-n-play connection of USB and proactive transport controls are superb for house recording and production. However, such active, musical operation in a 32 key controller is rare. If you ‘re seeking a keyboard controller to employ in the studio or on-stage, the Roland A300PRO is the perfect option. Joining the finest Roland engineering with Cakewalk’s simplicity of use, the keyboard contains all features and finish to render maximum music productions. 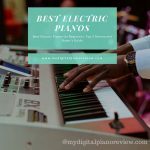 If your budget is tight, consider buying the M-Audio Keystation ranking among the Best 32 Key MIDI Keyboard. Moreover, the keyboard controller intended for pro tools grants you access to the fundamentals at an affordable price. The key station has solid key construction, with a little more bouncy synth operation in comparison to semi and full-weighted varieties. Additionally, it includes keys, a mod wheel plus a pitch apart from several basic functions. The keyboard incorporates a great orchestra-style virtual studio mechanism, or VST, technique, known as SoniVox 88 Ensemble. However, the disadvantage of the keyboard controller comprises its restricted software bundle and the absence of faders or knobs. The Keystation Mini 32 is the sleekest and user-friendly Keyboard which provides portability and functionality. 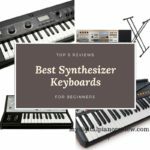 It features amongst the Best 32 Key MIDI Keyboard. Furthermore, the 32 mini-keys of the Keystation which are velocity-sensitive highlight its simple operation. 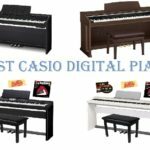 The keyboard has all the features of an excellent keyboard controller though without the pads and sliders present in other controllers.Further, it is stacked with four assignable and three different buttons for regulating pitch bend and modulation, besides a volume control knob. The extraordinary plug-n-play experience offered by the inbuilt Sibelius First Software is a bonus. The M-Audio commands a lesser retail price if you are conscious of your budget. 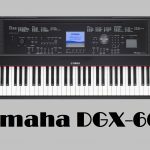 Further its keys are sturdy with synth-action which is a little more elastic than semi or full-weighted keys carrying a great orchestra-style VST like SoniVox 88 Ensemsble. The Keystation Mini32 is ideal if you don’t require pads and different fancy controls, it is simple with just keys, a pitch and mod wheel. Thus, it provides the basics at an affordable price. The keyboard does not bundle crazy software and lacks knobs or faders, but if you are not a live performer the Keystation is best for you. All in all, it is a general solid keyboard which we recommend for simplicity and cheapness. The Edirol PCR-30 is the most sophisticated and the Best 32 Key MIDI Keyboard. Certainly, an excellent compact keyboard to be utilized with regular sequencers or software synthesizers. Totally compliant with the recent operating systems like WinXP and Mac OS X. Furthermore, the keyboard carries MIDI operation to a high level of exceptional versatility. The Edirol PCR-30 has 32 large-sized, velocity-responsive keys, eight assignable faders, and rotary knobs. Certainly, the finest compact keyboard for application with common sequencers and software synthesizers. The keyboard has modified modulation and pitch controls to impart greater linear control for precise performance. 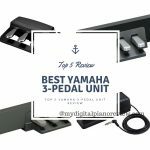 Additionally, it also contains sustain plus expression pedal jacks besides MIDI Input/Output. What are the chief leading features of the Edirol PCR-30? The following is a brief overview of its chief features. The keyboard can manage different parameters not reachable from other similarly priced controller keyboards like RPN, NRPN and SysEx. The numerous features of the Edirol PCR-30 like velocity-sensitive keys, knobs and buttons afford extensive command over leading software synths or sequencers like Arturia Storm and Cubase . Moreover, modified pitch and modulation tools provide increased linear control for precise performance. The keyboard lets you preserve all your valuable stuff with one preset memory and fifteen user-memory locations. You can work effectively with your preferred applications with the control template sheets supplied. The PCR-30 monitors various parameters not reachable from different controller keyboards at the same price like RPN, NRPN, and SysEx. Additionally, the keyboard is fully compliant with the most recent operating systems such as Win XP or Mac OS X. The Edirol PCR-30 ranks among the Best 32 Key MIDI Keyboard controller being compact for application with regular sequencers plus software synthesizers. Further, it elevates MIDI control to a new high with its extreme versatility. The expression pedal input, not present in many small controllers lets you play your strings as you like. The Edirol PCR-30 has a real midi output which allows you to control parameters of different machine, otherwise not possible with other latest midi controllers due to their USB outputs. Break Barriers with the M-Audio Axiom AIR MINI 32 Key MIDI Keyboard which combines true power and is exceedingly user-friendly. Take charge of your performance with 8 knobs and drum pads, transport plus program navigation buttons. The HyperControl mechanism of the M-Audio Axiom provides the controls to operate with your recording application. Moreover, the Ignite music composing software is the final tool that quickly creates complete music. The M-Audio Axiom AIR Mini 32 keyboard is built for mobile studio plus real-time performance applications. 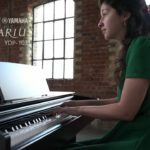 Additionally, the compact USB charged controller carries 32 velocity-sensitive notes, modulation and pitch bend buttons, octave and transpose controls besides one sustain button. 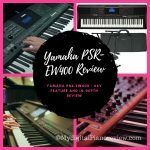 An edit button to modify MIDI assignments, directional guidance buttons, transport controls, 8 MIDI knobs, and velocity responsive trigger pads besides 2 selectable banks, one Kensington security lock, and 4 choosable operation modes is also present. It is extremely lightweight and portable. What makes the M-Audio Axiom Mini one of the Best 32 Key MIDI Keyboard. Take a peek at its product features. The below mentioned are its benefits. The M-Audio Axiom provides great control, while being easy to use. Moreover, its HyperControl feature maps the control surface immediately to function faultlessly with your recording application, without any set-up chores. Further, you can personalize your setup straight from the keyboard, even without any editing software. Additionally, save your selections to the ten memory locations for immediate recall. Attach to the dedicated transport and track choose buttons for real Finest-In-Class capabilities. Ignite lets you grab your ideas fast professionally. Your personal musical ideas are collected in the form of phrases or clips. Moreover, different clips can be run jointly or even categorized to generate more complicated phrases and song pieces. Ignite offers seamless integration with all recent M-Audio keyboard controller. After being attached to the PC, the key parameters would be automatically allocated, or mapped, towards the front side controllers. This stiff integration confers an exclusive solution which performs well. 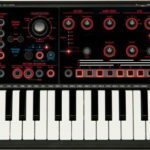 Ignite includes more than 275 fascinating instrument sounds designed by AIR Music Technique. 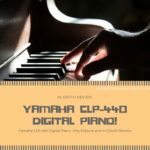 Apart from being a skilled arpeggiator, smart MIDI technique grants a Chord Player as well as Phrase Player which inserts new musical sections to improve your production such as drum pattern. Email your thoughts to the remaining crew. Distribute your musical perceptions and songs with different musicians by SoundCloud- without ever moving away from Ignite. Furthermore, you can also export WAV or MIDI files, which you can then transfer to every DAW recording program consisting of Pro Tools. The Axiom AIR is the final tool for the mobile composer combining true power and unrivaled simplicity of use. Further, its 32 super-feeling mini keys of the compact controller provide ample playing space. The Axiom AIR Mini is easy to use while granting extensive control. In addition to being a resourceful arpeggiator, the dual functions of Chord Player and Phrase Player provided by the sharp MIDI technology can augment your production by adding fresh musical parts such as drum pattern. The Axiom AIR ranks amongst the Best 32 Key MIDI Keyboard due to its extreme lightweight and portability. You can map your desired sequencer with the HyperControl application, and you can add some more expression to your performance with the sustain, mod and pitch bend buttons. The Ignite music composing application lets you record and stack your personal compositions directly from the package. 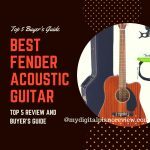 Additionally, it also includes more than 275 instruments to apply to your music besides an arpeggiator, Chord, and Phrase Player to export your completed tracks by MP3 and WAV. In conclusion, a comparison of the Best 32 Key MIDI Keyboard reveal that the Midiplus AKM320 is ideal for starters containing nearly all features for composing good music. Certainly, you can bring out the best in your music events and productions with the advanced Roland engineering and simplicity of use of the Roland A300PRO. The M-Audio Keystation Mini 32 is sleekest and user-friendly, which delivers portability and functionality as a realistic package. The Edirol PCR-30 is one of the most sophisticated 32 Key MIDI Keyboard controllers. It is extremely compact for application with regular sequencers and program synthesizers. The M-Audio Axiom is built for mobile studio plus real performance applications.